My Mixed Thoughts: The Next Big Brand Just Might be a Country ! Home » Business » The Next Big Brand Just Might be a Country ! A very clear purpose of advertising. A proper position to be fixed in the minds of the consumer. A clear plan on how to structure the advertisement. Now the first three points can be achieved by entrepreneurs creative mind. The 4th and 5th point is where the problem generally lies. These two points require a huge amount of investment. This is where the small entrepreneurs have trouble , finance. With giant Multi National Companies and other giant corporations the problem of finance is not even noticed. They can afford to invest in advertisements when ever they feel the need to. The act of advertisements from the companies started in the selling era , 1920's. When they realised that the simple act of making a product is not enough to sell it. It needs to be advertised and informed to the masses of its availability. The Marketing Concept Era came after the end of World War two. This existed till the late 1900's. In this business were focused on determining what consumers wanted, their overall level of satisfaction, and producing the goods and services that would produce the profits. The Customer Relationship Era started from the late 1900's and early 200's and continuing today. Companies have extended the Marketing Concept by creating customer relationship models. Relationships with the companies and the customers started to come under the spot light. Now read the above Eras and replace the word Company with Country. With the core business of a country being tourism the country can easily meet the 5 requirements to advertise. They definitely have ample amount of resources to do so. Also they have the power to make it a compulsion to advertise them! A Proper Position to be fixed in the minds of the consumer: Give the country a tag line , a brand image , a meaning , a position in the mind. A Clear plan on how to structure the advertisement: Creativity of the government's head perhaps ! or it can be outsourced to an advertising agency. Good Music , Actors , Graphics: Sure this can be purchased by the resources available to the government. A Good Channel: This depends on the amount the government is willing to spend or they can give some tax reduction for channels who give some amount of time slot to them. 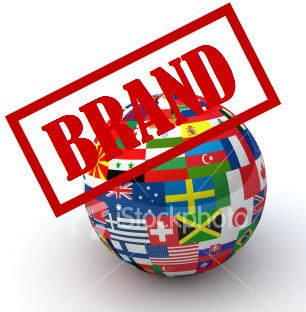 With the power a brand holds in the minds of the customers some selected countries already doing this act of 'Branding Countries' , the time of the next big brand being a country might just be in the near corner. Also Brand rating agencies might find it interesting to rate companies brand power vs country brand power. Lets just see how Malaysia was advertising for it self. The image it wanted to show was "Malaysia truly Asia".